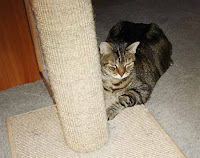 And so, with many, many tears, my earthly journey with my beloved forever cat, Pippen, has come to an end. That’s the first line of the old Chicago song, Hard Habit to Break. It was playing in the waiting room yesterday at the emergency vet hospital, where I sat holding Pippen in my arms for the last time. She fought the good fight, this most wonderful and dearest friend, but in the end she succumbed to the same cancer that claimed her brother’s life last July. I have suffered many losses in my life, but saying goodbye to Pippen was one of the saddest moments of my life. I sat in the darkened room, looking at all the tiny white doggie faces that were staring at me from the wall. Later I realized I was looking at the electrical outlets, my tired and blurry eyes unable to see clearly. I knew my angel dog, Jake, and Pip’s angel brother, Dickens, were there in the room with us, ready to welcome their furry friend home and guide her on to the next great adventure. Every animal lover who has ever said goodbye to a critter knows exactly what I was feeling in those last few moments. If you’ve never lost an animal companion you can’t understand how impossibly fast your heart can beat, and how desperately you want to wake up from the nightmare, when the veterinarian asks you… are you ready now? “NO, I’M NOT READY,” you want to scream. “I WILL NEVER BE READY!” But Pippen was in pain, and the only remaining gift I could give her was to help her leave her broken and hurting body behind, and let her spirit fly up into the stars. In a matter of seconds Pippen’s pain and suffering came to an end. Mine, however, will take much longer to heal. This is one of my favorite pictures of Pippen, waiting patiently outside a birdhouse. 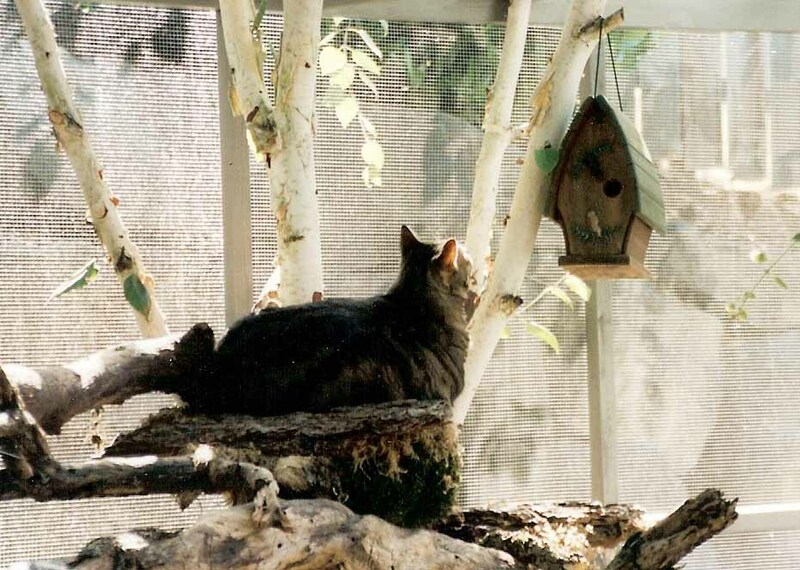 What she never quite understood was that the birdhouse was inside the screened cat enclosure, and no matter how long she waited there would never be a birdie coming through that hole! Farewell, Pippen, my special little love. 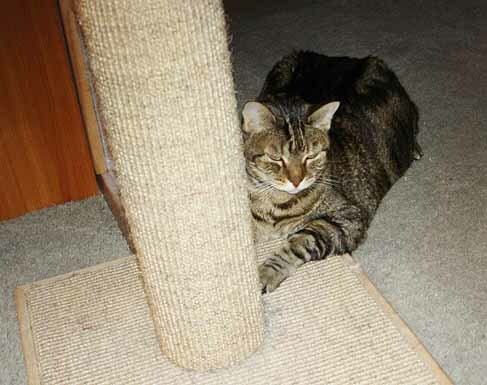 I will watch over your sisters, Molly and Star, just as I watched over you and Dickens for the last 12 years. I know it must be an awful lot of fun out there, no longer hindered by your earthly body, but I would deeply appreciate an occasional visit from you…even if it’s just a fly by! Chris, I’m so sorry to hear of your loss of Pippen. This has been a rough time for you with her death following so closely after Dickens. Take good care of yourself and know there are loving thoughts coming to you from all over. I just hung up the phone from speaking with you. I went to your website to see if you had posted anything on Pippen. I am now have tears running down my face. Chris, my deepest condolences go out to you, I am so very sorry. Pippen will be looking out for you, just stay present, you’ll see. Thank you all for your words of support. It’s been a long week, but I can feel Pippen watching over me and her sisters. Beautifully said. So excruciating to say goodbye to our furry friends. They hold a special place in our lives and hearts. Wishing you the best as time separates you from the pain of the loss and replaces (to a certain degree) the hurt with many happy memories. Thank you for your kind words, Mimi. I feel Pip’s presence very strongly, and I know she will always watch over me!